Hi! 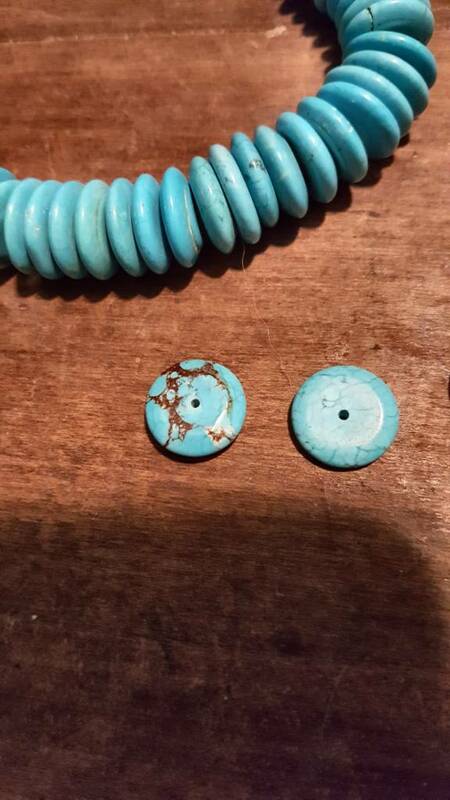 Looking for second opinions on these beads. I'm pretty sure they're real. 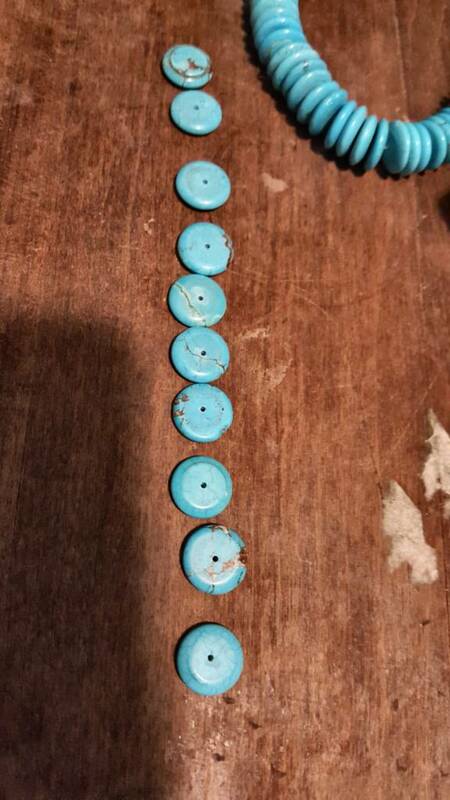 The hardness is correct, and I tested a couple with acetone so I'm pretty certain they're not dyed. I just got such an amazing deal on them that I'm a bit skeptical. Lol. I would really appreciate opinions, or any other tips on how to identify them. All I know is the person I bought them from said they bought them at the Tucson gem and mineral show a couple of decades ago. Thanks! 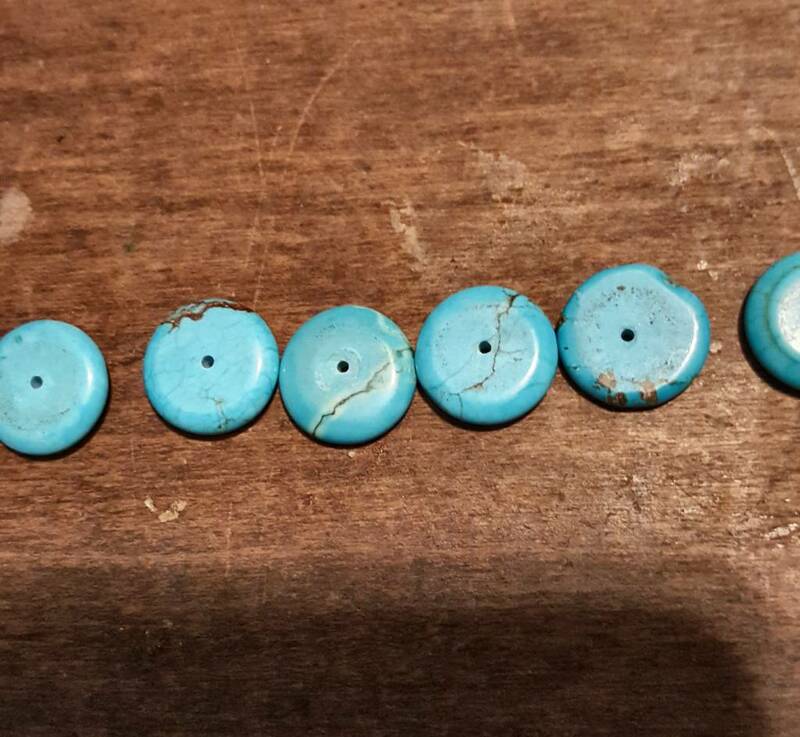 Re: Turquoise, yes or no? 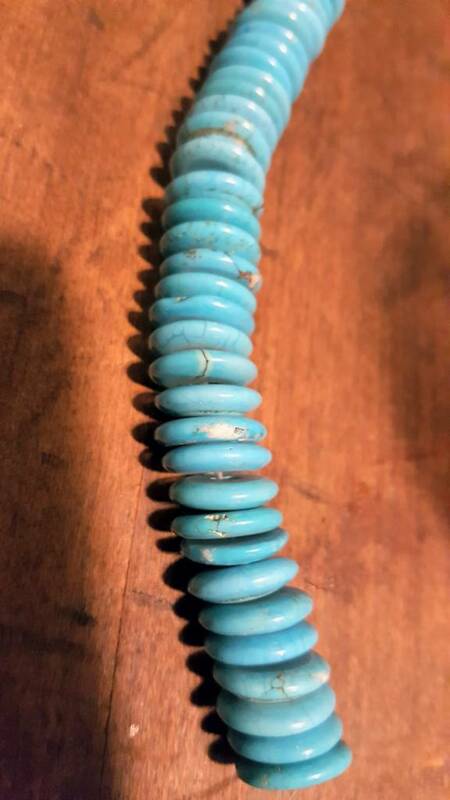 I suspect dyed magnesite, based on the pattern and colors. Some dyed stone is sealed, and so simply swabbing with acetone may not show dye. 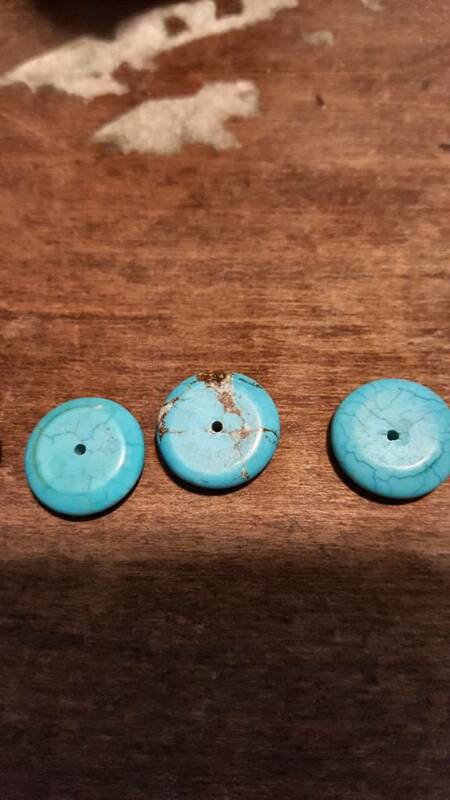 You might sacrifice a bead by breaking and seeing whether the dye penetrates evenly throughout, and also swabbing the broken surface. You can also try burning one of the broken bits, then smelling to see whether you detect a burnt plastic smell (which would indicate either manufactured stone or a sealer). Ok, I will try that next. Thank you! You were right. I broke one in half, and it was white in the middle. Fortunately it didn't cost me much. Thanks for the tip! 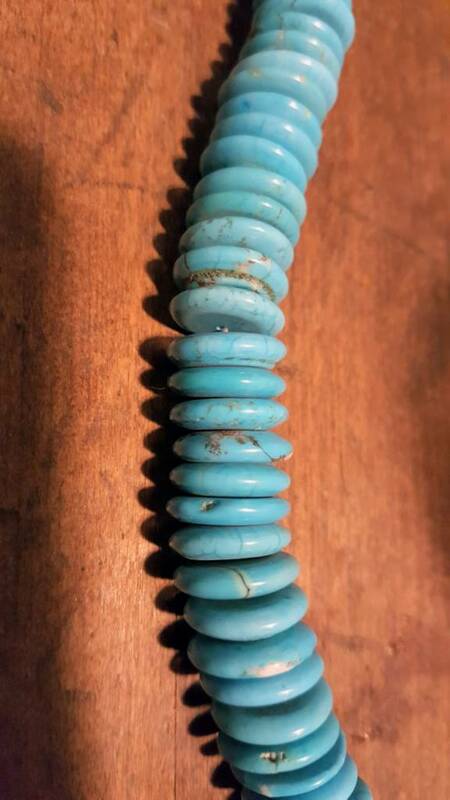 It could have also been low quality chalk turquoise which tends to be whitish when mined and they dye and stabilize it. 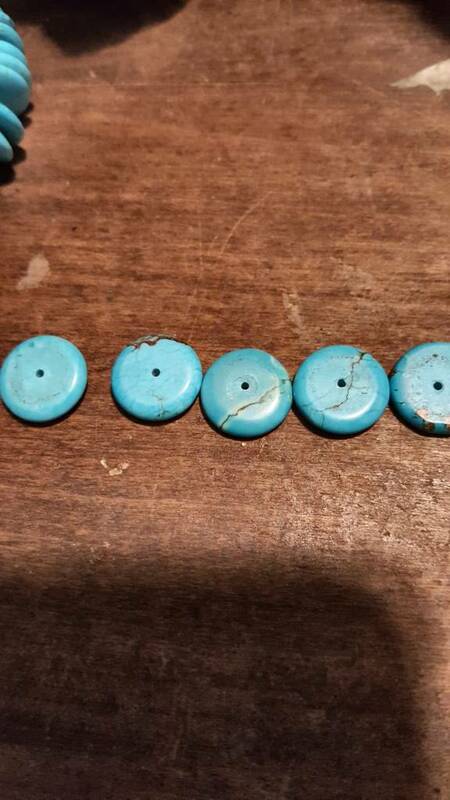 Either way it's not real turquoise in the purest sense of the term. It's a good thing you didn't pay much for them, because if you had, it would have been a bit of a rip-off. 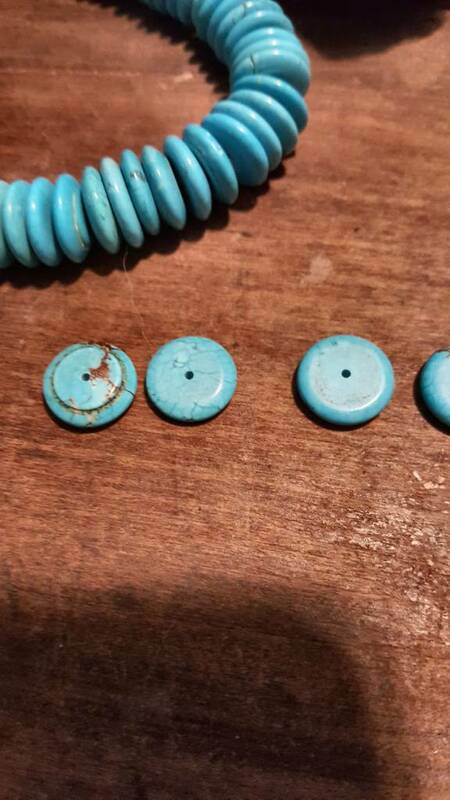 At least in this case you can still use them, just call them "Dyed stabilized Magnesite or Howlite." All the best hunting those treasures!